ForrestBrown is committed to excellence across everything that we do. It’s the reason why our clients receive the very best advice and outstanding results. We only recruit the best talent from within tax and industry, ensuring that we have the experience and skillsets necessary to deliver. Now, we are fully aware that every R&D tax credit consultancy says that they recruit the best talent. What does this actually mean? A commitment to excellence and a clear passion for their work – they need to convince us that they are ready to face a new challenge each and every day. A thirst for knowledge and continued improvement is essential – if they’re not passionate and receptive to learning then ForrestBrown is unlikely to be the place for them. A genuine integrity and desire to deliver for clients – a face-to-face interview is the best way to guarantee that they have the right approach to deliver technical excellence and achieve the best results for our clients. We don’t like to see any sign of complacency or arrogance either. Every ForrestBrown client is different – this means it’s essential that our team can adapt and still meet the highest standards. If the candidate ticks all of these boxes, then we welcome them to the ForrestBrown family. And that’s when things really get going. At ForrestBrown, we train each and every one of our tax associates to the gold standard of tax – chartered tax adviser. At the core of our training for all staff – whatever their focus – is the Learning Lab programme. By putting people through the programme, we can guarantee the expertise and energy required to deliver the most value to the businesses we work with. New joiners use the programme to immerse themselves in all things ForrestBrown. The Learning Lab is designed for all ForrestBrown employees, regardless of how long they’ve been with us. This is because standing still is simply not an option. Just like the innovative businesses we support, we constantly challenge ourselves to learn and improve, and keep well ahead of the competition. When it was launched in 2016 by its creator and ForrestBrown director Jennifer Tragner, the Learning Lab focussed primarily on technical excellence, covering all aspects of R&D tax credits. Since then it has evolved. Today the Learning Lab programme is a dynamic hybrid of theoretical, classroom-based learning and practical, interactive exercises. Now, more than ever, it takes priority within ForrestBrown with three hours of learning ring-fenced for every employee each week. Technical excellence – developing a deep understanding of the R&D tax legislation, the BIS guidelines, the EC recommendation on SME status, meeting HMRC’s expectations and how we work with other tax legislation. Risk management – ensuring maximised claims for our clients now and into the future, while minimising the risk of an enquiry. This involves a focus on record-keeping, a close and genuine relationship with our clients, our quality assurance processes, and internal collaboration. Passion – it is essential that everything we do is driven by passion. ForrestBrown is passionate about our clients, their innovation and the impact that R&D tax credits can have on them and the UK economy as a whole. When it comes to client service, passion is also key. We create relationships that allow our work to have the greatest positive impact on our clients. This includes learning the skills and behaviours that support our vision. The Learning Lab programme is delivered by a team of senior ForrestBrown employees, including directors. We have also developed a team specifically to train the trainers to ensure consistent quality. We’ve worked hard on improving the way we teach in order to have the greatest impact on learners. Engagement has been the primary focus – if learners are engaged then they retain the information and can apply it. To achieve maximum engagement, we have introduced interactive exercises and focused on the application of knowledge in different situations. This focus on a practical and working knowledge of the technical elements is essential. It develops the skills required to react to the different clients and situations that we face in the real world. When it comes to R&D tax credits every client is unique and we need our team to be able to adapt in order to maximise each claim. ForrestBrown demands a lot of its team in asking them to deliver technically brilliant work and demonstrate passion. But it’s essential we apply these values to everything we do. All teams have access to the Learning Lab because we want to ensure development across the entire business. We need our people to be the very best they can. Our established chartered tax advisers use the Learning Lab to access individual modules as and when they want to brush up on a particular skill. It allows qualified tax advisers to hone their skills and understand the finer detail of R&D tax credits. All graduates have the option to be accredited to teach a certain session through The Professor programme. Being part of the Professor programme has meant I have needed to develop excellent presentation skills as well as brush up on every detail of the subject I’m presenting. I can’t shout enough about how much this makes you re-think what you know on a subject. It’s a lot of responsibility but when you see the penny drop in a student’s eyes, it makes it all worth it. Armed with the knowledge taken from the Learning Labs, they can manage and produce their own work. Rather than relying on others, they identify any roadblocks, risks, or technical issues ahead and deal with them. It also enables them to assist others with queries and collaborate more with their colleagues. 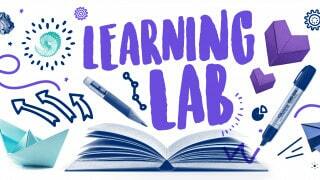 We also run specific CPD sessions for Learning Lab graduates twice a quarter. These sessions are driven by those attending and tailored to their specific needs. The emphasis on continuous learning and knowledge sharing means that complacency never sets in. Not every scenario comes up, so this allows our team to refresh their knowledge. It is our eye for detail and integrity that puts us ahead of the competition. The Learning Lab always ends with a practical assessment. It’s the best way of us testing the knowledge. We prefer an oral assessment because it can span all areas and replicate real life. We like to chop and change between technical areas to really make sure the working knowledge is there. We cover client services and relationships separately. At ForrestBrown, we firmly believe that our Learning Lab programme sets us apart from other consultants. Our team of chartered tax advisers – the gold standard in tax, sector specialists, quality assurance professionals, client relations experts, accountants and former-HMRC tax inspectors have all benefited from it. This means that we deliver more value for you with less risk. With ForrestBrown, you know you are getting maximised, robust R&D tax credit claims.